A CROCODILE about 4m in length has been spotted on the banks of the Fitzroy River. 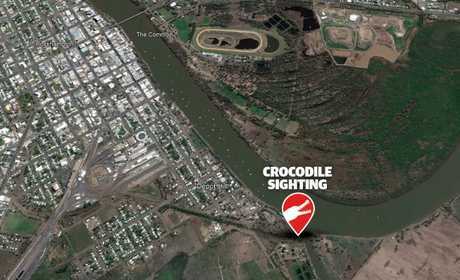 The croc was sighted by Rockhampton fisherman Mark Smith on Saturday near Gavial Creek, opposite Norbridge Park. Mr Smith estimated the croc was about 14 feet or 4.2m long. "After checking my crab pot, I saw the decent-sized crocodile sunning himself on the banks of the river," Mr Smith said. "I was able to grab a picture, but I wasn't getting any closer." 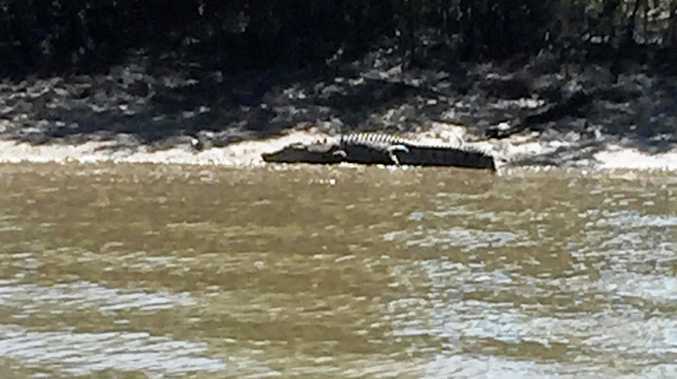 He said the croc was not far from kids dangling their feet in the water from a pontoon. "They were a fair distance away up the river dangling their feet in the water," he said. "People need to remember that you can see a car coming but you can't see a crocodile under the water." Mr Smith said he also found other croc markings nearby. It's not the first time a crocodile has been spotted on the banks of the Fitzroy River. 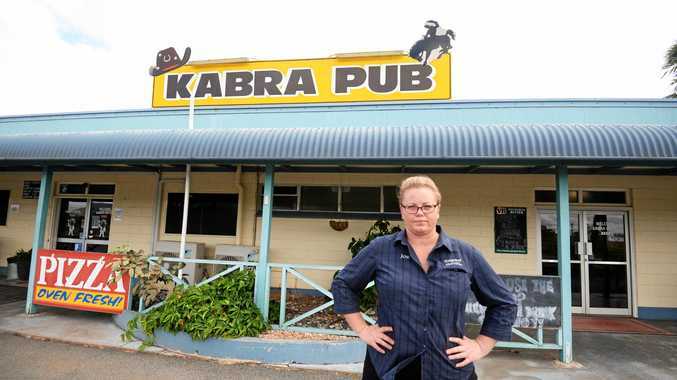 In February, Luke Stephen Orchard, 31, pleaded guilty in the Rockhampton Magistrates Court to one count of unlawfully taking a protected animal. Police prosecutor Jess King said the Belmont Research Station farmhand made admissions to police about shooting a 5.26m-long male crocodile on the banks of the Fitzroy River on September 13, 2017. The maximum penalty for the unlawful take of a crocodile is $28,383.75. 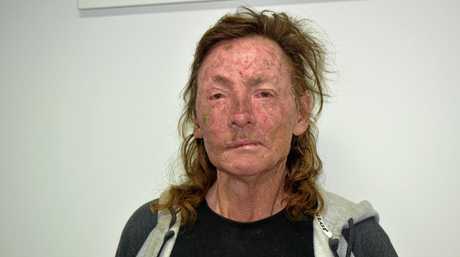 Ms King said the croc, which was determined by experts to have been between 80 and 100 years old, had been shot in the head between the eyes.